His current research revolves around the Vision System Design. Recently, His currently interested in development of power efficient architectures and computing frameworks utilizing Approximate Computing techniques for Computer Vision & Image Processing Applications. Other areas of interest include FPGA based design, H/W/SW based Co-Design, Multi-Projector & Immersive Display Technologies and Image Processing & Computer Vision Applications. 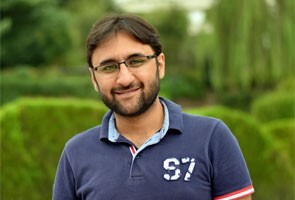 Currently, he leads the Vision Processing Lab (VISpro Lab, http://vispro.itu.edu.pk/) which specifically deals with Embedded & Real-time Systems for Machine Learning, Computer Vision & AI. Dr. Rehan Hafiz has over eight years of R&D experience in the area of Digital Embedded Systems, Design of architectures for hardware accelerators and applied Vision & Image Processing. Earlier, he founded the Vision Image & Signal Processing (VISpro) Lab at School of Electrical Engineering & Computer Science, NUST in 2011. Under his leadership, VISpro lab set up a joint collaboration with South Korea’s premium research organization, Electronics and Telecommunication Research Institute (ETRI), South Korea, to develop a state of the art Ultra High Definition (UHD) Panorama Generation and Multi Projector Rendering System. Such UHD based ultra-wide angle displays hold the future for next generation immersive displays. Technologies based on UHD content & projection systems shall find place in upcoming home theaters & television broadcasting systems. UHD-TV consists of extremely high resolution imagery and multichannel sound to give viewers a stronger sensation of presence. He and his team filed 7 US and Korean Patent applications, out of which two patents have already been accepted. Dr. Rehan has published several journal and conference articles related to custom processor design, approximate computing, application specific processor designing, video stabilization & multi projector rendering. (Journal) Awarded an equivalence of Three (03) Impact Factor Journals vide HEC letter Ref: 3-3(Patents)DD-QA/HEC/2017/175 for US/Korean Patents titled, " Geometric correction apparatus and method based on recursive bezier patch sub-division "
Journal: S. Mazahir, O. Hassan, R.Hafiz, M. Shafique, "Probabilistic Error Analysis of Approximate Recursive Multipliers", in IEEE Transactions on Computers (IEEE-TC), -accepted May 2017. M.Shafique, R.Hafiz, M. U. Javed, S. Abbas, L.Sekanina, Z.Vasicek, V.Mrazek, "Adaptive and Energy-Efficient Architectures for Machine Learning: Challenges, Opportunities, and Research Roadmap", IEEE Computer Society Annual Symposium on VLSI (ISVLSI 2017). M. A. Hanif, R. Hafiz, O. Hasan and M. Shafique, “QuAd: Design and Analysis of Quality-Area Optimal Low-Latency Approximate Adders”, Design Automation Conference (DAC-2017), Austin, TX, USA, To Appear. El-Harouni, Walaa, et al. "Embracing approximate computing for energy-efficient motion estimation in high efficiency video coding." 2017 Design, Automation & Test in Europe Conference & Exhibition (DATE). IEEE, 2017. Mazahir, Sana, et al. "Probabilistic error modeling for approximate adders." IEEE Transactions on Computers 66.3 (2017): 515-530. R. Bilal, R. Hafiz, M. Shafique, S. Shoaib, A. Munawar, and Jorg Henkel. "ISOMER: Integrated selection, partitioning, and placement methodology for reconfigurable architectures." In Computer-Aided Design (ICCAD), 2013 IEEE/ACM International Conference on, pp. 755-762. S. Mussadiq and R. Hafiz, “Projection on Suitable Sub-Surface Selected in Indoor Environment", Proceedings of the 9th International Symposium on Visual Computing (ISVC 2013), Crete Greece. Journal: Ahmed, Atif, R. Hafiz, Muhammad Murtaza Khan, Yongju Cho, and Jihun Cha. "Geometric Correction for Uneven Quadric Projection Surfaces Using Recursive Subdivision of Bézier Patches." ETRI Journal 35, no. 6 (2013). M. T. Ibrahim, R. Hafiz, M. M. Khan,Y. Cho,J. Cha, "Automatic Reference Selection for Parametric Color Correction Schemes for Panoramic Video Stitching", Proceedings of the 8th International Symposium on Visual Computing (ISVC 2012), pp. 492-501, 2012, Crete Greece. Journal: R. Hafiz, and K. B. Ozanyan. "Optical absorption measurements in particle-containing ambients using gated ratiometric detection." Sensors Journal, IEEE 8, no. 8 (2008): 1437-1444. Journal: R. Hafiz and K. B. Ozanyan, "Digitally balanced detection for optical tomography." Review of Scientific Instruments 78, no. 10(2007): 103101-103101.